In version 3.6 of WP Edit Pro; the Dropbox button was introduced. In order to use the Dropbox button; a web application must first be created. This post is intended to walk through the process of creating said Dropbox web application. 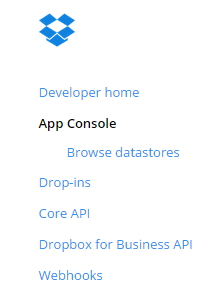 The first step is to visit the Developers Applications section of Dropbox. A new account will need to be created if one doesn’t already exist. Once an account has been created; click the “App Console” link in the left navigation menu. Next, click the “Create App” button in the upper right hand of the screen. Next, check the “Drop Ins” option. Now a name must be selected for the application. Choose a unique name; that is easily recognizable. Once the application has been created; the next screen will show details of the newly created application. Among these details; is the “App key”. Copy the “App key”; and paste it back into WP Edit Pro (Editor tab), under the Drobbox “App key” option. 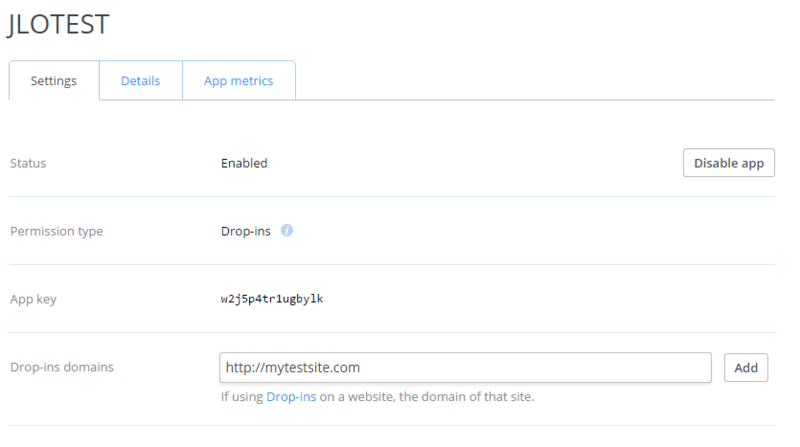 Lastly, enter the domain of the website where the dropbox files will appear (your site url) into the “Drop-ins domains” option field. This is necessary to connect successfully to the Dropbox API and pull the files to the website. Congratulations! Dropbox is now successfully configured. This entry was posted in Tutorials, Resources. Hi Josh, how can I disable the dropbox feature? we moved the button into the inactive bar, but we constantly get an error appearing that it’s in use, but the api isn’t setup. We don’t want to use dropbox. Sorry about this; I’m sure it’s something I overlooked in the code. I’ll need to get that fixed in the next maintenance release. In the meantime; you should be able to rid the alert by entering ANY value into the “Dropbox” option on the WP Edit Pro settings page (I think it’s the “Posts” tab… not sure). Just enter “test” or something; and save. Let me know if you don’t see the option… and also if this temporary solution works for you.